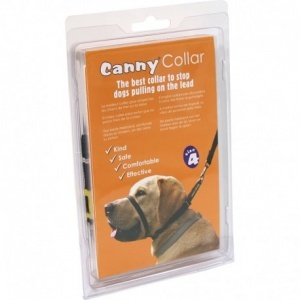 The revolutionary Canny Collar is used by the RSPCA and Association of Guide Dogs for the Blind as a key training aid to prevent pulling on the lead. It was also voted the Best New Product in 2006 by the Pet Product Retail Association. 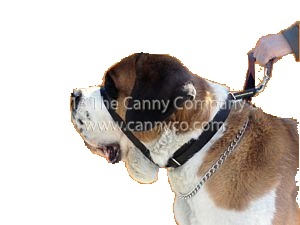 Canny Colossus for Giant Breeds now available. 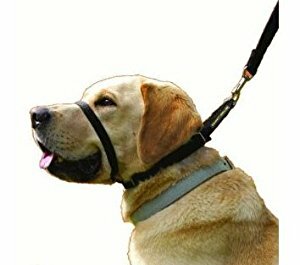 The Canny Collar stops pulling and makes walking a pleasure again. It is kind, safe and effective and doesn't ride up into the eyes or jerk the neck. Canny Collar can be left on when off lead and is recommended by vets, trainers and rescue centres to control their more difficult dogs.